In 2011, there was an unprecedented disaster in Japan. The aftermath of the disaster is still being felt and damage to the environment is extensive. People are trying to rebuild but problems to be solved continue to pile up. In order to overcome these problems, each of us has to keep mind and body strong. At the same time, people need a communication capability that respects others and provides leadership. These same skills are also necessary for the people who actively perform these leadership functions around the world. It is already 40 years since Shinshin Toitsu Aikido was first started. What can we contribute to the society now? In response to this question, in April 2010, Shinshin Toitsu Aikido Kai was formed and established as a General Incorporated Association. Our purpose is to teach and spread Shinshin Toitsu Aikido and to grow many instructors who can contribute to the world community. With around 400 Dojos located across Japan, Shinshin Toitsu Aikido is being taught not only in the classes but also in a wide range of fields. In particular, at Elementary and Junior High Schools across the country, Shinshin Toeisu Aikido instructors go to teach on a volunteer bases, to teach correct and natural posture, Ki breathing to have a calm mind, and how to sense and be aware of danger and how to respond to it. This is essential for children to learn today. 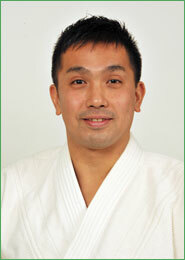 Let's build a positive society by using Shinshin Toitsu Aikido. This is our mission and goal. We will do our best to be supportive of people who wish to grow and develop.